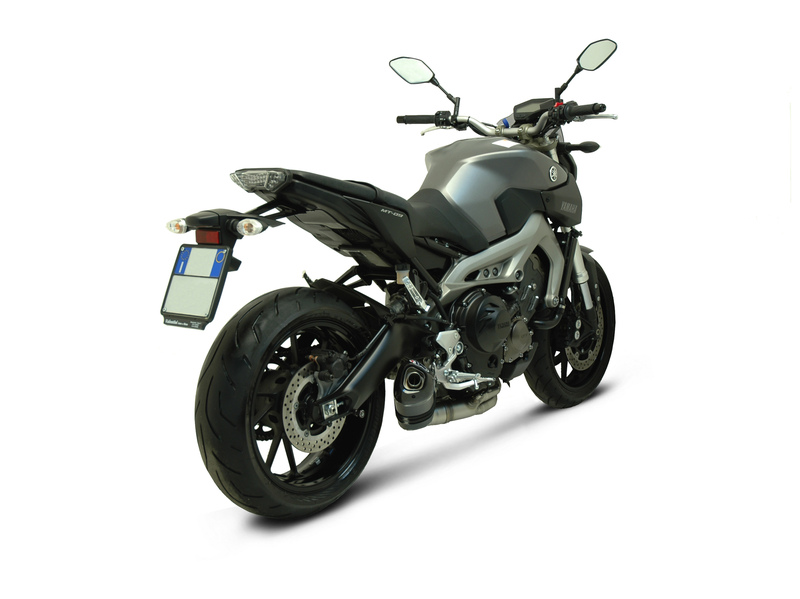 Until recently your choices were limited if you were looking for decent aftermarket exhaust systems for your shiny new Yamaha MT-09. 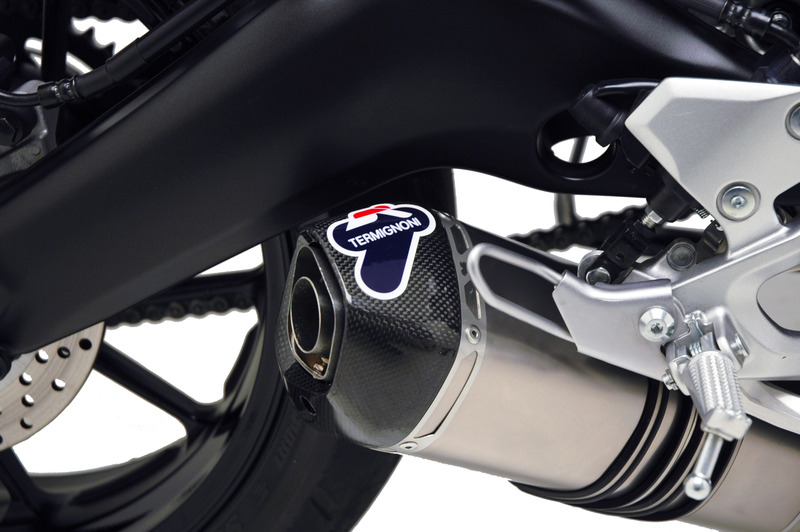 Here’s Italian maker Termignoni’s offering and let’s be honest, it’s beautiful. 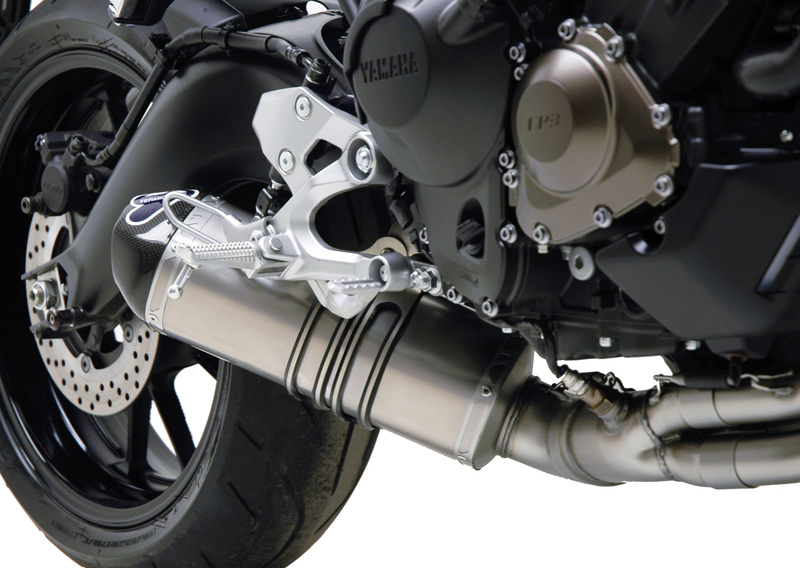 Downpipes and de-cat middle are stainless steel with a choice of either a titanium or carbon sleeved silencer with carbon cap. 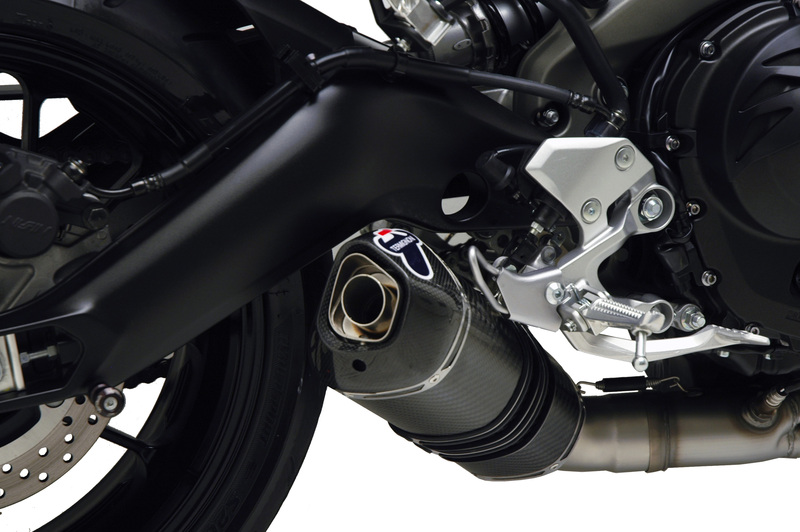 Each system comes complete with a removable baffle and you’ll want to remove it to do that three-cylinder engine justice. 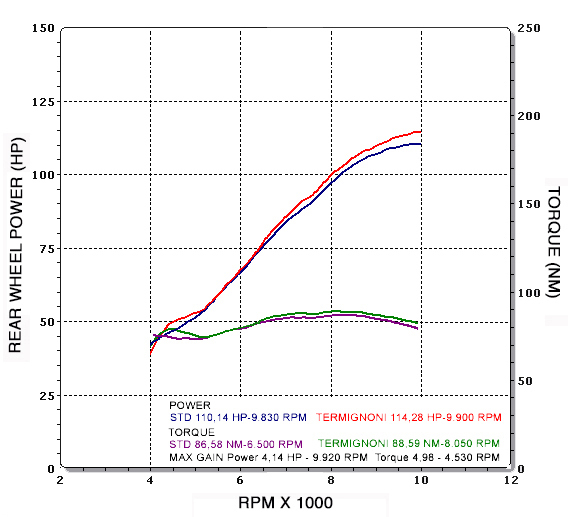 Power gains are pretty decent too with a claimed 4bhp gain and an extra 5lb/ft of torque at 4,530rpm according to the Termignoni dyno sheet. The full system with the titanium sleeved end-can will set you back a very competitive €779 (or roughly £650) and if you want a carbon sleeved can then it’ll cost an extra €20.